with plants and flowers not common to the "Corps of Discovery." scouts to locate the Native Americans. The men feasted on catfish, turkeys, geese and beaver. The expedition was in "High Spirits." Scroll down & click on a city or state on the Lewis and Clark Trail. Free Lewis and Clark Trail information, Lewis and Clark Bicentennial Trail, Lewis and Clark National Park Service Maps, Discovery Expedition, This day in history with Lewis and Clark, Daily Journal Entries by Gary Moulton, Sacagawea, Sakakawea, Sacajawea, E-learning Vignettes, podcasts, Bicentennial Expedition, Lewis & Clark Information, Maps, Centers, Museums, Signature Events Calendar, Hotels, Motels, RV Parks, Camping on the Lewis and Clark Trail, Lodging Reservations, Lewis and Clark Trail Online Shopping. Lewis & Clark Vacations, Fishing, Whitewater raft and River Adventure Tours, AMTRAK Bicentennial Train, Official Lewis &Clark Trail travel information, An Excellent Source for School Assignments, Lewis and Clark 1804 Timeline, Lewis and Clark 1805 Timeline, Lewis and Clark 1806 Timeline. Copyright 1998, LewisAndClarkTrail.com - all rights reserved. LewisAndClarkTrail.com and "Re-live the Adventure" are trademarks. 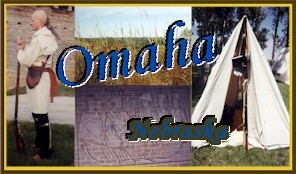 Reproduction of any part of this web site, for any use, is prohibited without prior approval of LewisAndClarkTrail.com.